If you (like me) have been totally oblivious to these couple rumors the past few months, get ready for the TV pairing of your dreams. 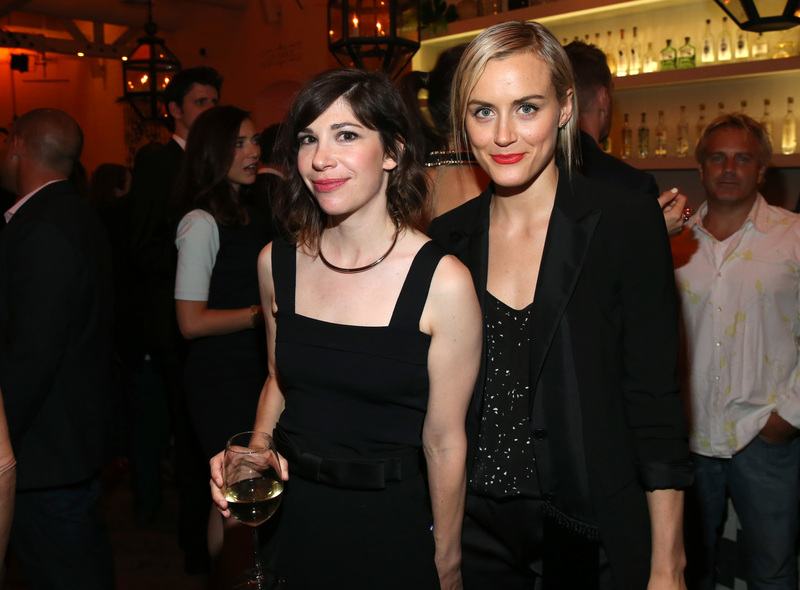 According to the ever-churning rumor mill, Taylor Schilling is reportedly dating Carrie Brownstein, officially uniting the worlds of Orange is The New Black and Portlandia in the most adorable way possible. Apparently, their romance started out as a tight friendship that eventually evolved into something more, and if the reports are true, it sounds like they're insanely happy together. Nothing has been confirmed about whether or not Schilling and Brownstein are actually a couple, but if they're not together, they're definitely BFFs. But if they ever wanted to make a formal announcement, I'm totally here for it. How awesome would it be if these two wildly successful women came together to form the ultimate power couple? Beyonce and Jay-Z would have cause for concern, that's all I'm saying. Whether they're dating or not, if they combined forces, they could conquer the world — or at least create a seriously amazing new Netflix series. Here's every piece of evidence that exists that points to Schilling and Brownstein being a thing. My fingers are crossed that this is real, y'all. Back in July, OK Magazine reported (via Hollywood Life) that Schilling "loves everything about" Brownstein and that the new couple was doing everything in their power to "keep the spark alive." Unfortunately, that's still the extent of the details out there about their potential relationship, but it sounds promising, right? Much like something you'd post of your SO you were missing, right? Schilling's hand on her back reads "couple" to me — that's not a very friend-like gesture. So maybe? OK, so this is probably the least conclusive piece of evidence, but it's my favorite. If subway riding was a clear indicator of a relationship, I dated quite a variety of people in college. But don't they look cute doing normal things together?! If Schilling and Brownstein aren't dating now, it's my hope that they will be inspired to do so in the future. They're obviously an ideal match — and I wouldn't be upset to see Brownstein appear as an inmate in OITNB Season 4.